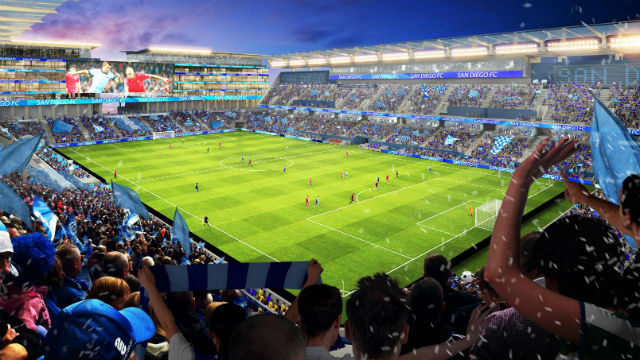 A state appeals court panel rejected San Diego City Attorney Mara Elliott‘s emergency petition to remove the SDSU West and SoccerCity initiatives from the November ballot. In a decision handed down Monday, a three-justice panel of the Fourth District Court of Appeal ruled that a “thorough examination of the merits of the initiatives” would extend past the deadline for printing ballot materials. “Under these circumstances, and given the substantial public interest involved, we decline to eliminate the right of the public to express its views on the competing initiatives,” the ruling states. Elliott appealed two July rulings by San Diego Superior Court judges who had upheld placement of the initiatives on the November ballot. She argued that forcing the city to lease or sell property on proponents’ terms was an improper use of the initiative process. “We did everything we could to lift the cloud of legal uncertainty over these measures so San Diego voters could participate with confidence in a decision that will impact us for generations,” according to a statement released late Tuesday morning by the City Attorney’s Office. Supporters of whichever measure receives more votes in November, provided it cracks majority support, will be given an opportunity to negotiate with the city over the land.